Players can take part in this event once per day. 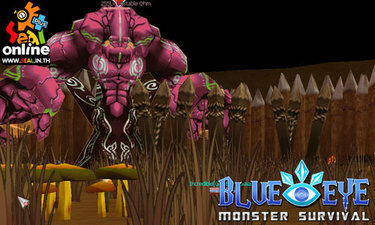 The Monsters that players fight will match the level of the players, therefore all players of any level will have the same difficulty when taking part in this event. To join this event players need to be in a party of 2-6 and all of the members need to talk to the owner NPC of the Monster Survival. There are 20 rounds of Monster waves and a boss Monster every 5 rounds. Monsters will drops various items and once players either finish the 20 rounds or die they will gain Monster survival points, which they can use to spend on rewards. The points need to be spent otherwise they will be lost, they can be spent for EXP or special items.